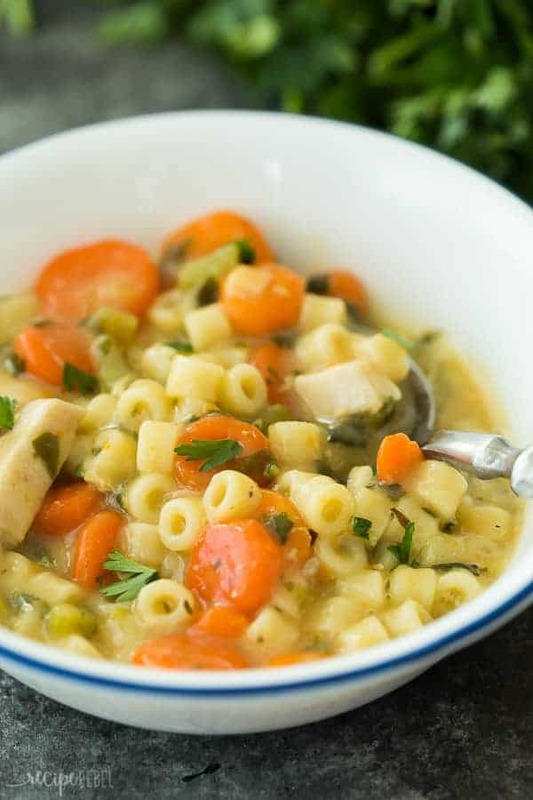 This Creamy Instant Pot Chicken Noodle Soup Recipe is a healthy dinner recipe that’s easy enough for any day of the week! It’s made in the pressure cooker which means BIG flavour and quick cooking. Loaded with vegetables and easily made dairy free or vegetarian. Includes step by step recipe video. If you hang out on Instagram much, you know that January is Instant Pot month here. After 9 months off it sitting in the cupboard and me avoiding it, I gave it a permanent spot on the counter and am determined to figure out what is so special about this beast. 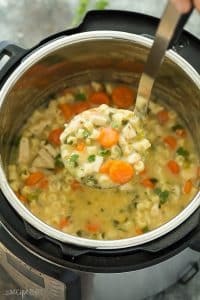 This Instant Pot Chicken Noodle Soup was one of the first things I made! I started out with some ridiculously easy recipes (like these Instant Pot Baked Potatoes, a tutorial on How to Cook Frozen Chicken Breasts in the Instant Pot, and Instant Pot Taco Meat from Frozen Ground Beef! ), and I’m slowly working on making some of my favourite TRR recipes into Instant Pot recipes, too. I would love to hear what your favourite things to make are or some recipes you’d like to see here next! It has been cold here this January. We’re talking -35, -40 degrees Celsius with the windchill. Things have finally started to mellow out a bit, but for the first couple weeks all I wanted was giant bowls of comfort food. What’s better than chicken noodle soup? I have one other chicken noodle soup recipe on The Recipe Rebel — also a creamy slow cooker version (you can see it here, but be prepared because the photos badly need updating! ), and it was really time to add another. I think soups and stews are one of the easiest things to make in the Instant Pot if you’re just starting out. They’re going to have enough liquid that it will easily come to pressure and you won’t get that concerning “burn” message flashing on the screen, and you can get that “slaved-all-day” flavour in just 5-10 minutes. I’ve got some important tips and a few different cooking options for this recipe, so be sure to give a read through the tips and the recipe instructions before beginning! 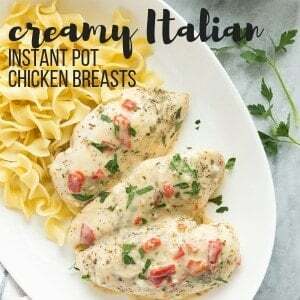 You can add the chicken fresh or frozen to the Instant Pot and it won’t really make a difference in cooking time. Frozen chicken breasts slice really easily, which is a plus if it was one of those days where you forgot to take anything out for supper ahead of time! You can easily mix up the veggies and add peppers, mushrooms, etc. — whatever suits your fancy! You can even leave out the chicken and made it a vegetarian noodle soup. To make this soup dairy-free, simply leave out the milk. If you want to thicken it slightly, you can do so but substituting the milk with an additional cup of broth and corn starch. To make this soup gluten-free, simply use gluten-free pasta. 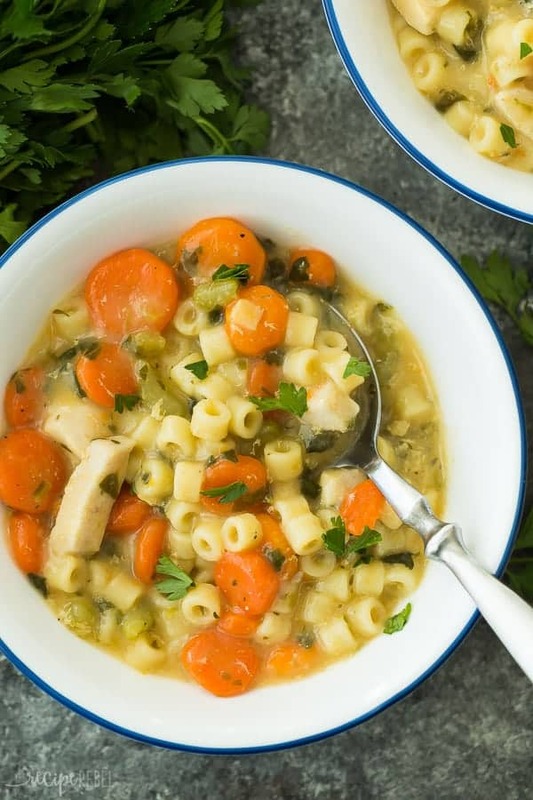 This Creamy Instant Pot Chicken Noodle Soup Recipe is a healthy dinner recipe that's easy enough for any day of the week! It's made in the pressure cooker which means BIG flavour and quick cooking. Loaded with vegetables and easily made dairy free or vegetarian. Includes step by step recipe video. To the Instant Pot, add carrots, celery, spinach, chicken, parsley, salt, thyme, garlic powder, black pepper and chicken broth. Stir well. Place the lid on the Instant Pot and turn the valve to sealing. Press Manual, leave on High pressure, and use the arrows to select a cook time of 4-5 minutes (4 minutes for veggies with more bite, 5 minutes for tender veggies). It will take about 10 minutes to come to pressure and start counting down. When the cook time is over, turn the Instant Pot off. Do a quick release of the pressure and open the lid. Turn the Instant Pot to saute and add the pasta. Cook and stir for 4-5 minutes until pasta is al dente. Whisk together the milk and corn starch and stir into the soup -- it will thicken immediately and continue to thicken as it sits and cools. Serve. Very tasty. Great alternative to a clear broth chicken sout. The pasta was a great change up from standard egg noodles. Did make a couple of adjustments for my tast. Added 1/2 cup of chopped onion and used Better Than Bullion paste. It gave it a nice round flavor. Also used a small bag of baby carrots and decreased the cook time on the instant pot tp 3 min and did a manual release after 2 min. Thanks David, and thanks for sharing your tips! You shouldn’t need to adjust the cooking time! I’m so glad you’ve enjoyed it! I’d love to make this tonight, however I only have whipping cream. Can that be used in place of the milk ? It can definitely be used, it will just be a little thicker! What an amazing comforting soup! I was feeling under the weather today and just wanted chicken noodle soup. This recipe was easy to prep, quick to cook, and tasted delicious. Thank you! Thanks Kelly! I’m so happy you liked it! I’m going to make this tomorrow for Valentine’s dinner! We like a lot of chicken in our chicken soup, so if I use 2 chicken breasts instead of 1, do I need to increase the cook time? I will post my thoughts after, but I’m sure it will be great! We have chicken noodle soup ALL the time, just in a regular pot and not creamy. Tried this tonight for a little variation – my 8-year-old daughter is the BIGGEST chicken soup fan in the house, so she was quite leery on the variation…”Creamy? What do you mean creamy??? ?” But upon tasting, the verdict is, “You can’t even TASTE the spinach! And the flavorings are so yummy!” First time cooking with Ditalini noodles. I used them as hair once for a pasta angel I made with my class…but never cooked with them. They’re so cute 🙂 I had to cook them seven minutes, and then let them sit for a while to reach al dente. SO delicious! Thanks Katie! I’m so happy that you and even your daughter enjoyed it! I love the ditalini because it cooks so quickly and is great for little kids! I used a large frozen chicken breast, and should have checked to make sure it was cooked through before adding the orzo. Chicken was still raw had to bring back to pressure twice before it was cooked completely which made pasta overdone. Again, that was my bad. Otherwise soup tasted amazing. Thanks Jennifer! I’m glad you enjoyed it in the end! Good recipe. Yet it only looked this way 30 minutes sitting in pot. Who waits that long to eat. NOT HERE! LOL Thank you for the recipe. It was my first soup in the Instant Pot and I love how quick it cooks! I changed two things. I did not have parsley, and I added a 1/4 tsp of tumeric. I also had 3 chicken breasts instead of one. Needed to put a towel over it while quick releasing the pressure. It sputtered a lot. I made this soup today and it was fantastic! I’m not one of those people who generally change a recipe before I’ve tried it once in its original form, but I did so a little bit on this one — (1) I used gluten free egg noodles (out of necessity — not fad) and wasn’t sure if they would cook the same as regular noodles in the Instant Pot, so I cooked them separately and added after the soup was on “warm.” (2) I added a chopped red bell pepper, because I had one that didn’t have much shelf life left. (3) I added a medium sized onion, because I love onion in chicken soup. (4) I added a little more salt and pepper, and used evaporated milk rather than 1% because it’s what I had. It has such a wonderful flavor, and I’m sure we’ll be having it often this winter. Thanks so much for sharing the recipe! Thanks for those tips! I’m so glad it turned out well! Do you put the chicken in raw? Hi there! I’m about to dive into this recipe today but I am keeping track of my calorie count. I hope this is not a silly question but I see that there are 4 servings but what is the serving size per calorie count? Is it 1 cup or 2? I honestly can’t say the exact size, but the easiest way to find out would be to weigh the end result, and divide by 4. I hope that helps! I just made this tonight. It’s great! I’m experimenting with my Power Cooker (bought from Costco online). Thanks Ashley. Forgot to give it 5 star rating! I was so looking forward to this soup. Might soup didn’t turn creamy after adding the whisked milk and cornstarch. Soup ended I’ll looking like milk soup haha. Not sure where I went wrong 🙁 Any thoughts what could have happened? I’ll have to try again another day. Your chicken might have released more liquid during the cooking process. It is not thick like chowder, so you may just want to reduce the broth a little next time if you like it thicker. Ashley, this soup was wonderful! I added a diced medium onion and used evaporated skim milk. I also had about 1/2 cup of some leftover frozen corn, cut from the cob, that I added at the end. Divine! Those who think it has little taste might need to change their brand of chicken broth or use turkey broth. I love the Ditalini pasta – so much easier to eat than floppy egg noodles. Thank you! This is definitely a “keeper” recipe in our house! Thanks! I’m so glad you liked it! I love the idea of adding fresh off the cob corn! Can this soup be frozen and heated up later? Absolutely! The only thing that might change is the pasta will become softer in texture after freezing and reheating. Hai.. I’m a very newbie in cooking, since I have one bundle of joy (a baby girl) 8 months ago… and now she eats like baby bear.. haha.. finally found your blog, and fell in love with your recipes.. May I know what brand of Instant pot you’ve been using? Hi Hakima! I’m using a 6 quart Instant Pot – that is the brand. 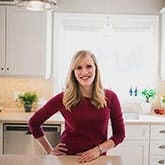 I hope you enjoy the recipe if you get to try it! 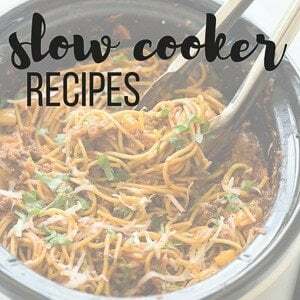 Just used my Instant Pot for the very first time and made this recipe (after the water test) …WOWZA!! I am a believer. Thank you so much for such a fabulous flavor-packed and incredibly easy recipe. The house smells amazing to boot! Looking forward to using this game changer and to trying more of your recipes. Can we use wide egg noodles? I must be the only one who thought this soup was lacking in flavor. We had to use quite a bit of salt and pepper at the table, which we normally don’t do. I just made this and it is delicious and super easy! I used oriecchetti pasta. This will be one of my go-to winter recipes. So glad to hear that Allie! Yes, definitely, but you don’t want to fill your Instant Pot past the 2/3 mark. You might be able to get away with 1/5 times the recipe to make 6 servings, or if you have an 8 quart Instant Pot you could double. If you double the recipe do you need to increase the cooking time, or is it the same? You won’t need to increase the time, but it will take longer to come to pressure. This was amazing! Totally rivals any soup you can get at Panera or similar. We had no leftovers and my husband even sopped up the leftover broth from the pot with bread. I will be adding this to my dinner menu rotation. 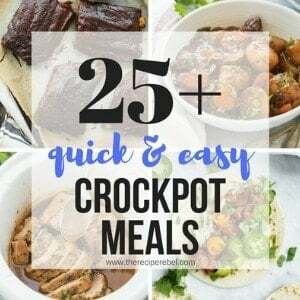 What time frame would I need to use if I were to make this is a slow cooker as I don’t have an instant pot but this looks amazing! I would likely cook the veggies most of the day, maybe 8 hours on low, then add the pasta for the last 20 minutes and stir in the milk. I am not a fan of soups, it made this for my dad. Of course, I had to taste it myself… delicious! I’m a fan of this soup. The prep time and cooking time made it even better. Delicious and very easy to make it. My kids kept asking for more. 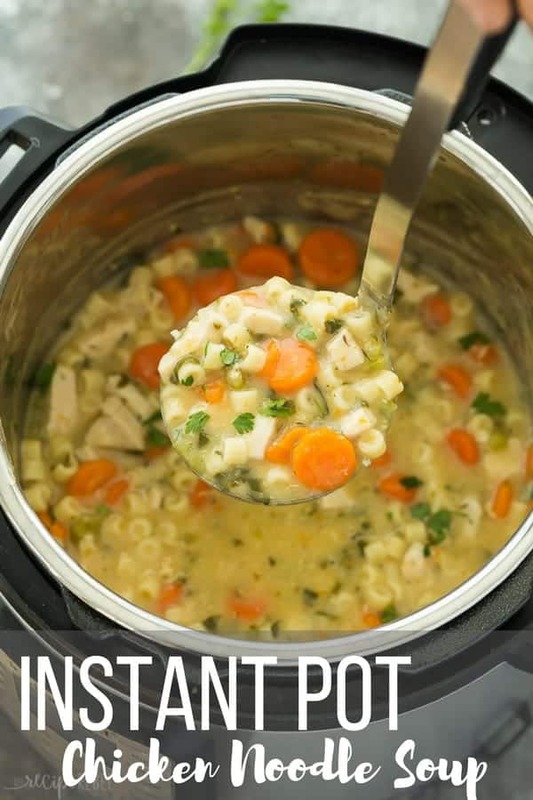 Oh man all these instant pot recipes makes me want one. This soup is serious cozy food GOALS, Ashley! I just got an instant pot and I’m definitely looking forward to trying this one! Interested to try this recipe but do not have an instant pot. What would the cooking time be for this recipe if not using an instant pot? I’m not sure exactly, but I would just cook the veggies until they were tender, then add the pasta and the milk and cook just until al dente.